(Strange candies in the world) Who doesn’t like candy? Everyone does! Children cannot resist trying new candies in the shops. They have to have it, be it lollipops, chewing gum, sugar or sour candy. Same is the case with an adult too. Most of them prefer candies for refreshments. In fact, in some countries, the candies are eaten after dinner as dessert. The candies market is flourishing. Every day thousands of makers of candies are experimenting with new flavors, ingredients to produce something eccentric. From the UK to Turkey, Germany to China, Japan to South Korea, all are producing some of the most incredible flavors of candies all over the world. While we introduce you to the top 10 strange candies in the world, you don’t lose your appetite! 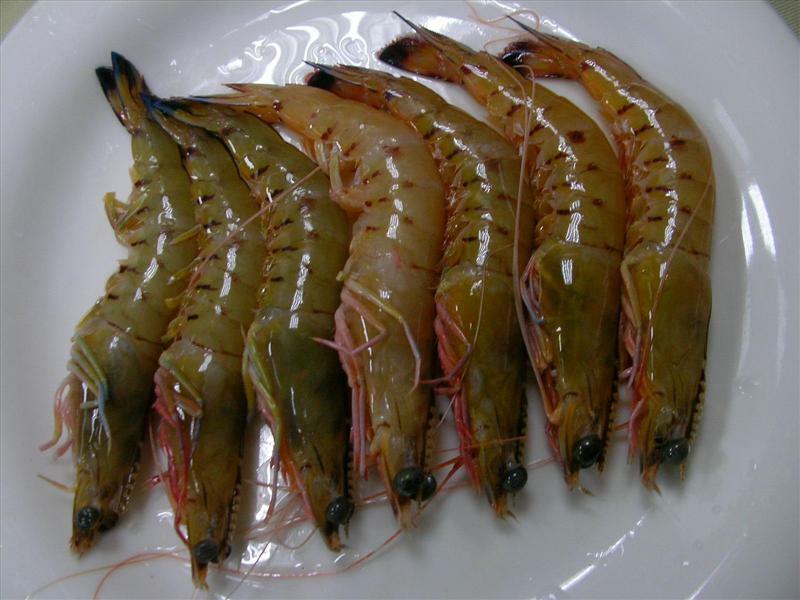 At number 1 in our list of strange candies is Shrimps and bananas. To come to your rescue, they don’t taste like shrimps in any case. Made by the expert makers at BARRATT in the UK, they are shaped in the form of shrimps and bananas; instead have more of a raspberry and banana flavor respectively. Famous in the UK among children and adult alike, these are made with natural colors and flavors. So, don’t get fooled by the name! You must try these. 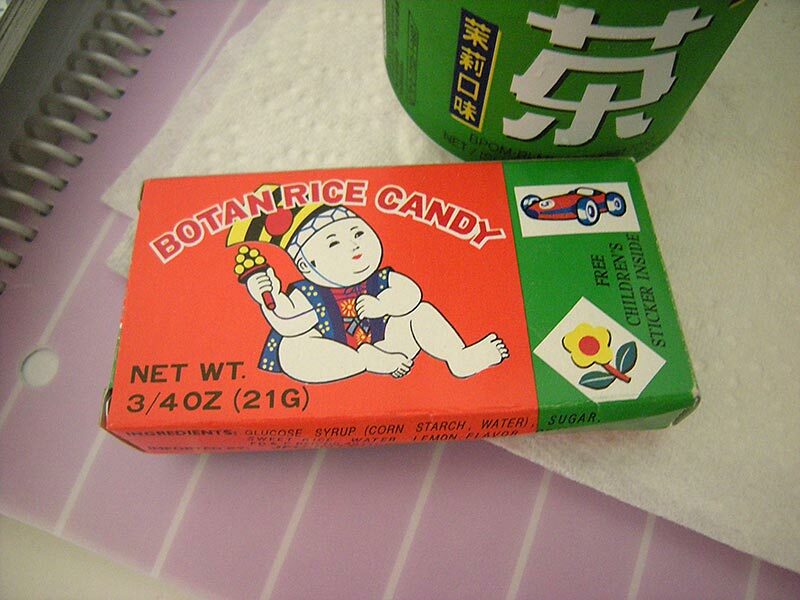 Edible on the outside as well inside, BOTAN RICE CANDIES comes in a cardboard box with 6 individual candies. A traditional Japanese candy, soft and chewy with a refreshing lemon-orange flavor. Now the unusual thing is that it is covered in a wrapper that is edible. Yes! You can eat the wrapper as well! The wrapper looks like plastic, instead is rice paper that instantly melts in your mouth along with the candy. BOTAN means PEONY in Japanese and there is a blooming flower illustrated on the packaging. Definitely one of the most strange candies in the world. Cheese and onion in Lays chips sound good, but CHEESE AND ONION in a chocolate bar sound highly eccentric. Yes, the Irish potato chip brand TAYTO has experimented with this new combination of cheese and onion with chocolate adding another one to the list of strange candies. This crunchy bar gives you a mouthfeel of chocolate at first and then a slight lingering taste of cheese and onion, sounds highly unusual but a flavor worth trying. At number 4 in our list of strange candies in the world is Salsaghetti. Who told candy can only be sweet? If you are up for some spicy treat, this one is the candy for you! These watermelon flavored gummy noodles are served with spicy Omarinara sauce of guaco tamarind that comes with it. These strips are spicy, sweet and sour all in one. This clever combination is a Mexican meal with an Italian flare. So grab Spaghetti in a new way of SALSAGHETI. Reminiscent of musk perfume, these semi-soft, usually pink sticks are a popular confection in Australia and New Zealand. Produced by a brand called BLACK AND GOLD, these Australian lollies are strongly scented and flavor features bits of roses, orange blossom, and skin lotion. 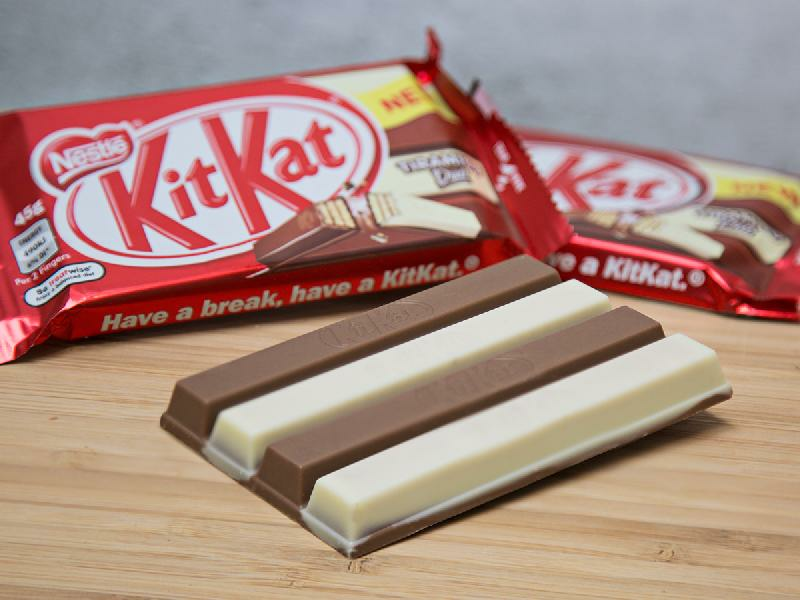 INDIANS and AMERICANS have got only chocolate, white chocolate and dark chocolate flavors of KIT KAT. But in Japan, you will find some of the authentic flavors of KIT KAT to choose from. From wasabi, raspberry, green tea, apple, cookies and cream, strawberry cheesecake, pumpkin pudding, rum raisin, purple sweet potato, baked sweet potato, pepper, citrus and sweet bean jelly, Japan just can’t relent experimenting with flavors. Can you resist eating? Anyone who is a meat lover and just can’t control the craving for meat, these meatballs are for you. Nor do they taste like meat but can get you through awkward moments when you really should not be stuffing your face with tender meat. Resembling a meatball but tasting like bubble gum, this super tasty and extra chewy meatball is the meat of the moment. Hence, an obvious entry in the list of most strange candies in the world. These unique-looking gumballs may actually sound disgusting or inappropriate for some, but apart from looks and packaging many people actually like them. The candy is a brown gum shell filled with extra sour enticing liquid. Produced by Spain based confectionery company, FINI, this candy is amongst the hundreds of international sweets on the market today. P.S. – Don’t go on the packaging and the description. Grab a bug! Light it up! This candy comes with a tong. 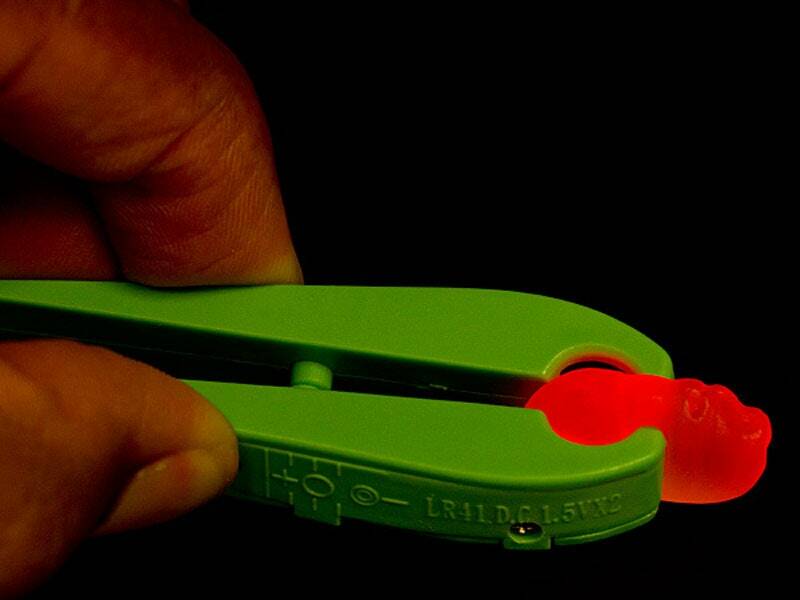 You use the tong to pick up the bug and which makes the bug light up. These assorted red and yellow gummy fireflies come in different flavors of strawberry and lemon. It’s BACON! also minted too! A perfect match it is! These strange candies taste like a delicious layer of smoked bacon with a hint of mint for refreshment.